'A History of the Maltese Club' was launched on Friday 20th October 2017 at the Casino Maltese. This first authoritative account of the history of the Casino Maltese has been published on the occasion of the 165th Anniversary of the Club’s foundation. This hard-bound, colour publication, edited by Giovanni Bonello, has extensive scholarly material compiled by a competent group of researchers and images that have never been published before. It delves into the historical and artistic aspects that have characterized the Club. 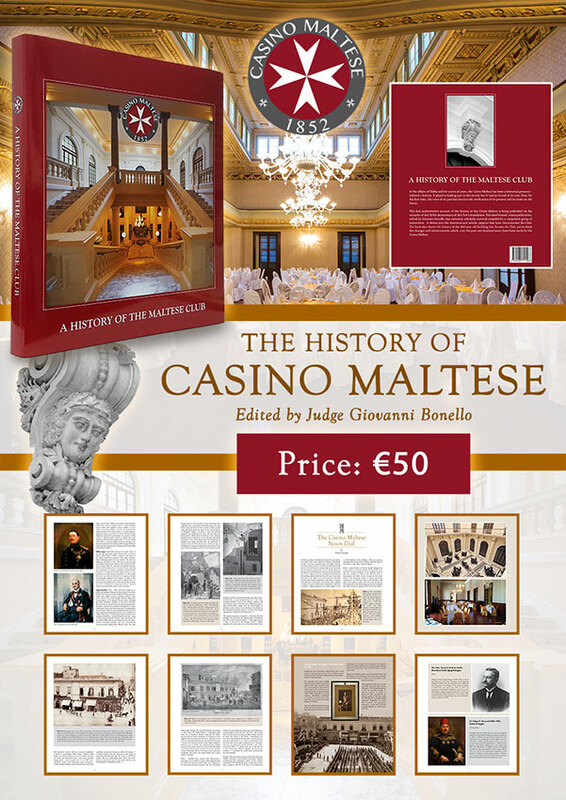 The book also charts the history of the 400-year old building that houses the Club, particularly the changes and enhancements which, over the past one hundred years, have been made by the Casino Maltese. This prestigious book is a welcome addition to any Melitensia collection and an essential memento for those who have fond memories of the Club. It also constitutes a wonderful present for anyone interested in Maltese social life and the history of Valletta’s buildings. The book is for sale from Casino Maltese at €50.